Everything electronic I have is old. I don’t have an iPad or tablet. My smart phone is three years old, and not so smart any more. My laptop is also three years old, and although engraved with my details probably isn’t worth stealing. Just a thought: if you keep a smart phone for four years instead of upgrading after two, your phone cost you half as much as the fast upgrader who rushed for the next model as soon as it appeared. Do we need a smart phone in the first place? There has been a move back to simpler, “dumb” phones in the business world, as their owners find them less distracting. Some businesspeople are moving away from mobile phones altogether. And an iPad is just a small, less powerful, less robust, brand-name computer with all the useful stuff missing. There are so many prompts in our world to buy the latest gadget. To buy as much as we can. That’s what the ads tell us to do. Heck, that’s what the President of the United States of America told us to do! But I think it’s sensible to question whether the items being offered will actually add real value to our lives before rushing out to buy. Will what we buy give us good value for money? Is the brand well known for its history of planned obsolescence? Will it trap us in and endless cycle of upgrades and maintainance and renewals and add-ons we have to buy? A Kindle seems like great value and quite cheap, but it traps us into an endless buying cycle of ebooks when we could go to the local library for free. We can’t share the books we buy either. A games machine is fun, but we have to buy specialist games for it that won’t work on any other machine. The games are expensive, and devalue and date quickly. Will that Apple Watch really be worth the money and effort and time we need to invest in it? Do I really need to know how many steps I take every day? Do I really want my friends all gossiping on my wrist nonstop? Yes. 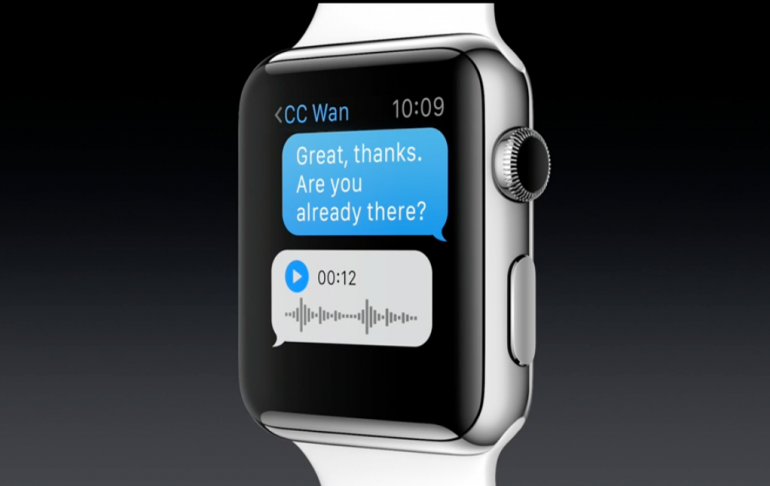 You too can have an Apple Watch and carry all the chatter of your silliest friends with you 24/7. What about Google Glass? I find it a bit creepy, to be honest. The thought of someone wearing these things and watching and recording my every move is too Big Brother for my taste. I find it offensive. Am I alone in thinking this? Am I too fuddy-duddy? And in the larger world, do we really need a fridge that can monitor our shopping list? What’s wrong with a piece of paper anyway? Do we need clever coffee machines in our homes and everything beeping at us and managing our lives? Can no longer manage maps and do we truly require a GPS for every journey we make? Have we grown that incapable? All of this is so overwhelming all I want to do is breathe. Throw it all out. Ignore it. Certainly I’m not going to invite all this stuff into my home to stay and be paid for and worried over and worked for and managed and eternally upgraded. I don’t need the stress and the cost and the worry and the effort. No wonder our society struggling under mountains of debt! It seems to me that a lot of the new devices and electronics are very anti-sharing, anti-freedom, anti-budget and low-value. We’re buying items we don’t need that trap us into a continual purchase cycle, continually draining our wallets, our time, our communities and our wellbeing. I don’t see it as a positive thing, so I’ll stay a late adopter, and avoid this worm. I don’t rush out and buy anything. I have my first cellphone in colour now, the old one gave up the ghost. I have just bought my first secondhand laptop. My LCD monitor died, I returned to an old TV type… Smartphones are as dumb as they come. If I were a boss in today’s world I would ban smartphones and personal cellphones from the office. I’d definitely ban phones from the office – right along with twitter, facebook and other time-wasters! My career revolves around technology (and the privacy and security of technology) so I find myself struggling with limiting to only what I need and keeping abreast of new technologies as they’re released to understand how they function, what vulnerabilities they have and how to best use and protect them. I try to view technology as a tool, but it’s easy to get sucked into the “keeping up” mentality as well. Wish me luck! I can totally understand that. My profession is technical writer working for software companies, and so I really understand the pull of new tech – it’s really enticing! Maybe take on long term cost analysese as an interest project, as well as personal studies on suspected planned obsolescence? It’d be interesting to see exactly how long these devices do typically last for yourself and your friends, as opposed to company projections from Samsung, Google et al. I thought tablets were just big smart phones… Until I used one. I have a 1st gen iPad that was given to me, and its been a great internet device, gaming, video player, etc. Then I bought a used Galaxy Note, which I use for all of the above, plus art and music production. Technology can be great, but if you update simply to have the latest thing, you’ll never be satisfied. Good post! I think that’s the problem – once you get suckered in, you’re forever caught up in the continual updates cycle. The devices typically have a 2-3 year lifespan, and when you calculate how much you’re spending if you have, say, a smart phone, a tablet and a laptop, it’s a lot of money out of an average income if you’re updating every 2-3 years, sometimes even less for early updaters / upgraders. I think I need to do a cost analysis example for a typical user with smartphone, tablet and laptop at current prices, It’ll be interesting. A bonus of that is that if you have a family member or friend who upgrades frequently you might get tech for free! I’ve had 3 smartphones i got for free, plus the the old iPad. I’m not at all above accepting secondhand items from people who wish to “upgrade”!